10am - 5pm Daily. Closed Thanksgiving Day, Christmas Eve and Christmas Day, New Years Day. At Chandon, we are true California pioneers. Founded in 1973 by Moët & Chandon, we draw on our French heritage and innovative American spirit to create vibrant and sophisticated sparkling wines that enliven all occasions. The winery is also one of the most visited and celebrated destinations in Napa Valley. Our Tasting Room options include flights of our sparkling and still wines as well as wines by the glass and by the bottle. The atmosphere is casual and fun with standing room at the bar and limited seating. Our Terrace is Napa Valley at its best. Landscaped by Mother Nature, the Terrace is surrounded by indigenous oak trees and beautiful greenery. Tables are available for wine tasting and are on a first-come, first-served basis. To join the wine club, visit www.chandon.com or call 888-242-6366. Club Chandon delivers sparkling and still wines to your doorstep six times a year— and with a 20 percent discount. We also host club-exclusive events created especially for our club members. And year-round we welcome Club Chandon members at the winery with a glass of bubbly, special pricing on tours and tastings and an area devoted just to the club. Join today to take advantage of all the benefits of membership. 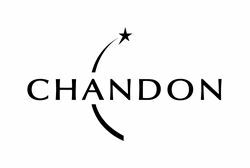 To join, visit www.chandon.com or call (888) 242-6366. 10% discount on tastings and wine purchases. Domaine Chandon is certified under the Napa Green Winery Program by the Napa County Department of Environmental Management (DEM) and the Association of Bay Area Government’s (ABAG) Green Business Program and completed all the regulatory components needed for environmental sustainability. These components included developing water and energy conservation methods, preventing pollution, and reducing solid waste. In addition to developing sustainable winery practices, this program is set to become the standard for the state of California. Domaine Chandon is certified under the Napa Green Certified Land Program. Domaine Chandon has created and implemented a customized farm plan with measured results that addressed all aspects of its property, vineyard land as well as non-farmed land, including practicing soil conservation, water conservation, stable drainage, riparian corridor enhancement, fisheries and wildlife habitat enhancement and long-term improvement and sustainability.